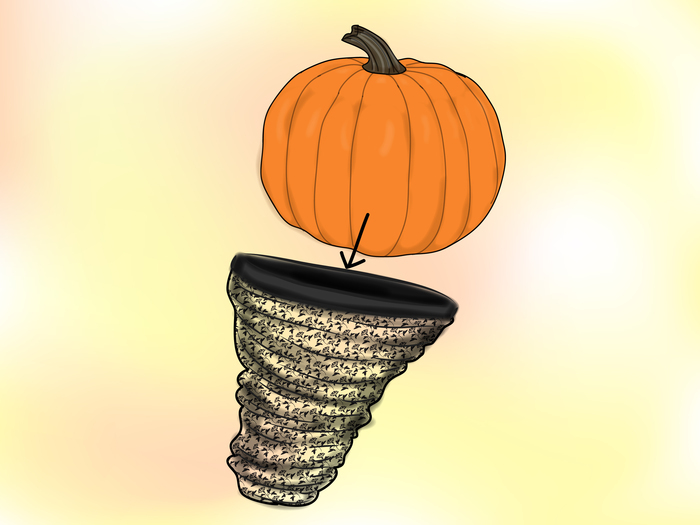 Dressing up a pumpkin with a stocking is an easy way to make a Halloween decoration. Choose patterned stockings for the most interesting look, such as lace or fishnet designs. 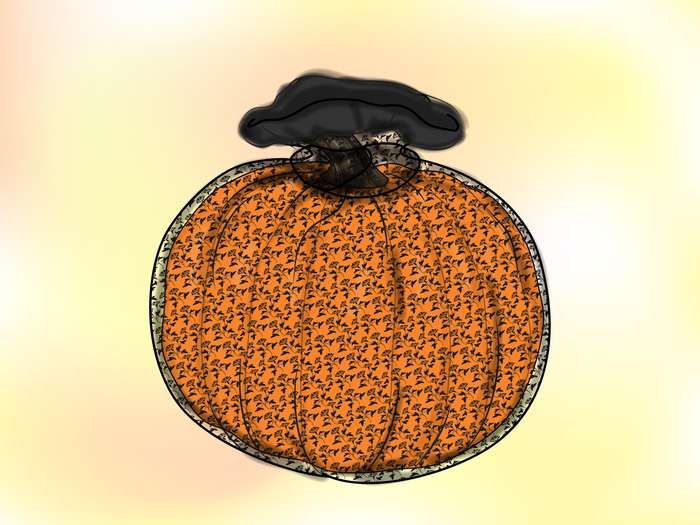 The pumpkin's orange color will peer through the stocking, allowing for an interesting contrast. Plain black or white stockings. Take the stockings out of the packaging. Stretch open the opening of the stocking leg. Ease the pumpkin inside the stocking. The toe area will sit underneath the pumpkin. The open area (for inserting the leg usually) will cradle around the pumpkin's stem. Wrap the open end of the stocking around the stem of the pumpkin. 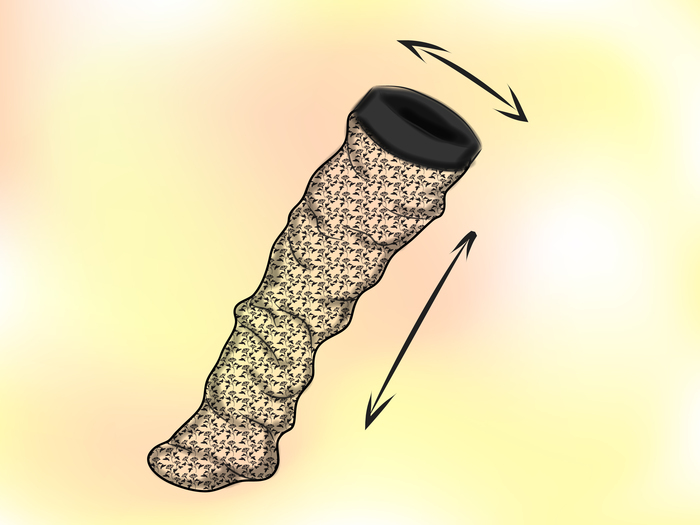 Either tie a neat knot using the stocking end or glue in place. Alternatively, wrap a rubber band around it to keep it in place (a hair elastic in the same color is a good choice). Done. The easy-as stocking pumpkin is now ready for placing on display. 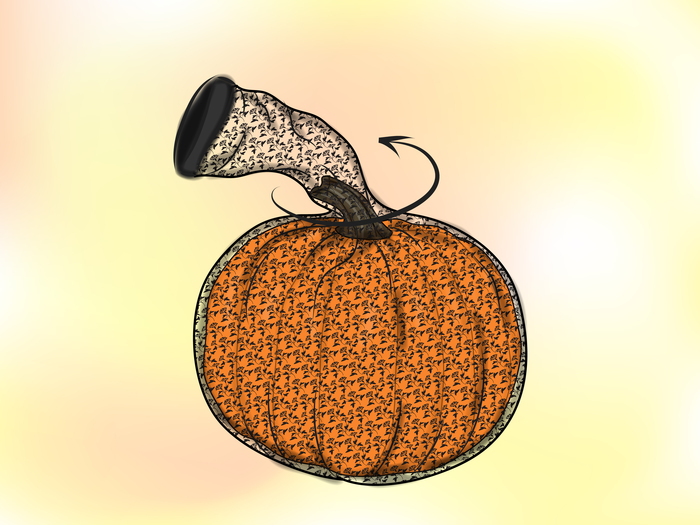 If you're using several pumpkins, consider using various different patterns of the stockings for lots of interesting designs. Pumpkin, small enough to fit inside the stocking. Stockings - dollar stores have plenty of cheap choices; choose extra large where possible, to make it easier to get over the pumpkin.